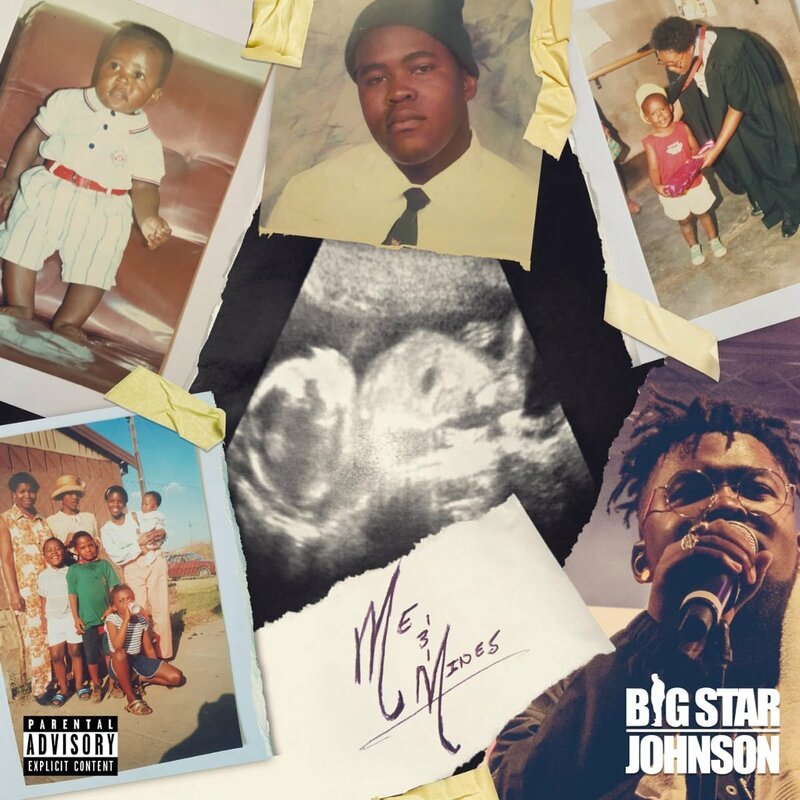 24th August 2018, Johannesburg – Warner Music South Africa and Vth Season are proud to present the debut album by multi-talented MC, BigStar Johnson. ‘Me & Mines’, out 24th August looks set to make the right kinds of waves in the South Africa hip-hop scene. As the title suggests, the album touches on topics such as growing up, friendship, kinship, fatherhood and the ‘good old days’. Says BigStar Johnson, “Currently I’m at a place where I’m the most comfortable that I’ve ever been in the industry. And I’m finally at a place where I feel I can express myself, so I’m hella excited about the future and what it holds for me.” He has paid respect to his past and now is moving forward with an album that at once sounds like classic conscious hip-hop, with all the aforementioned timeless touch-points, before unveiling its fresh 2018 sound. In a competitive SA hip-hop scene, BigStar Johnson made a name for himself as the first winner of the reality hip-hop competition, The Vuzu Hustle Season One. In truth, the journey started well before that, honing his craft over his formative years, to become the MC that he is today. The groovy lyricist’s infectious feel good energy has gone on to captivate us through the airwaves and music festival’s alike, with tracks such as, ‘My Year’, ‘Flavors’ & ‘Just To Flex’. Now he presents his debut longform. ‘Me & Mines’ kicks off with a prelude to the next stage of his journey – ‘Understand Part II (featuring Kaylo)’ tells the tale of where BigStar Johnson comes from, his experiences in the present with his new-found fame and where he wants to be in the future. Clearly music, God and family are keeping him grounded. The dancehall beat of ‘Special Assignment’ is the bed on which BigStar delivers the smoothest flow you are likely to hear this year – to the girl who is exactly that, his special assignment. Rouge then steps into the ring for the tag-team style ‘Two Cups’, and together they ease effortlessly into a smooth flow that drips, rather than the usual rumble of a tag-team. Skip forward to previously released ‘Closer’ with its piano intro and underlying vocal loop belying what is to come – danceable beats underpinning BigStar’s smooth honey-like voice, whether rapping or singing. ‘Calling’ sees BigStar’s huge presence filling the track over tasty minimalist beats which allows Jay Claude (who features) and our hero to explore a vocal delivery not often heard on a hip-hop record. ‘Time Of My Life’, an earlier single is presented here in its full extended version. BigStar clearly wanted to give his fans a little extra – the ‘Mines’ in the title clearly refers to more than family and friends. ‘Paradise’ is a lo-fi banger featuring Zoocci Coke Dope, with it’s an underlying wobbly beat which is perfect for both MC’s to show off their rhyming skills in full flow. ‘Righteous’ announces itself as what can only be described as an acapella, finger-clicking doo-wop call for love, peace and compassion. The album closes all too soon, with the title track ‘Me & Mines’ – a dedication to the people in his life, past, present and future. ‘Me & Mines’ is about to bless the nation with some variety….can’t wait to see the people react to the type of music I love making.’ Early impressions are that BigStar will be pleased with how the audience engages with his sound. Whether it is the sonogram of his daughter on the cover to the voicenotes from fans that play out at the end of the track ‘Me & Mines’ – it’s all about the people in the Tumelo’s life.